The Central Platte Natural Resources District stretches about 175 miles along the Platte River between Gothenburg and Columbus. Many farmers in the area rely on groundwater supplies. 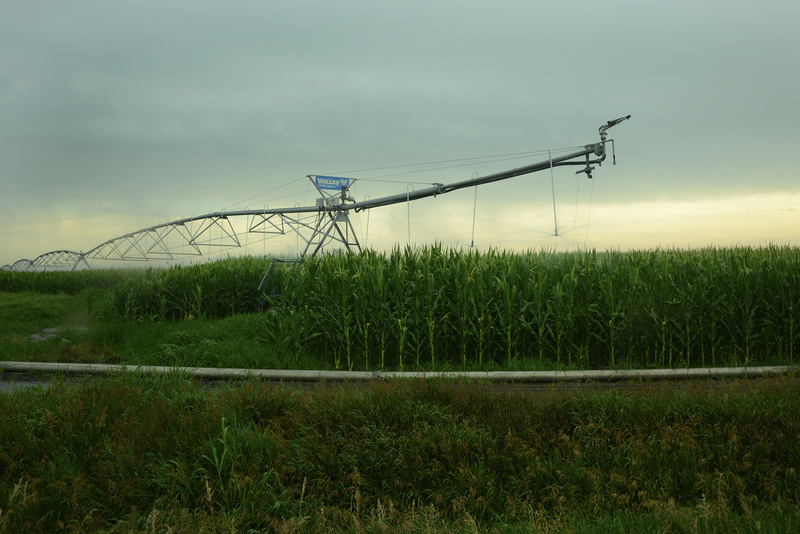 Central Platte NRD wants to help farmers share the groundwater they have more easily. “We have so much use in our district right now, and in part of our district, that’s sustainable. And so we’re okay with that use being moved around a little bit as long as it’s a sustainable use,” said Lyndon Vogt, general manager of Central Platte NRD. In many parts of the state, irrigators have pumped too much, affecting flows of the rivers. 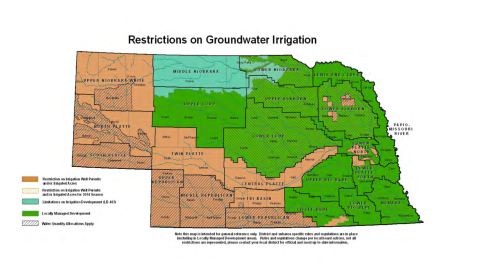 Starting in 2004, the state required Nebraska’s 23 natural resources districts, which manage groundwater locally, to look at the balance of water supply and demand. In areas considered “over-appropriated” – meaning too much water use to be sustainable long-term – the NRDs are required to bring water use back to levels that are sustainable for all current needs, including the Platte River ecosystem. The western third of the Central Platte NRD is one of those “over-appropriated” areas. “So we need to put water back to the river. And there’s numerous ways we can do that, but one fairly straightforward way is to retire irrigated acres,” Vogt said. “Retiring” means buying irrigation water rights but not using them, instead leaving that water in the ground and river system. Central Platte NRD has been making those permanent groundwater transfers since 2007, and they also happen directly between farmers. But transfers can be complicated because groundwater pumping in different locations has different impacts on the Platte River. Soon, the district will start a new program to let farmers buy and sell each other’s groundwater supplies temporarily through a water market, regardless of their location. “You have an opportunity if you’re a farmer to lease out your water rights or buy more water rights for one year,” said David McAdams, an economics professor at Duke University who designed the computer algorithm for the leasing process, known as the groundwater exchange program. 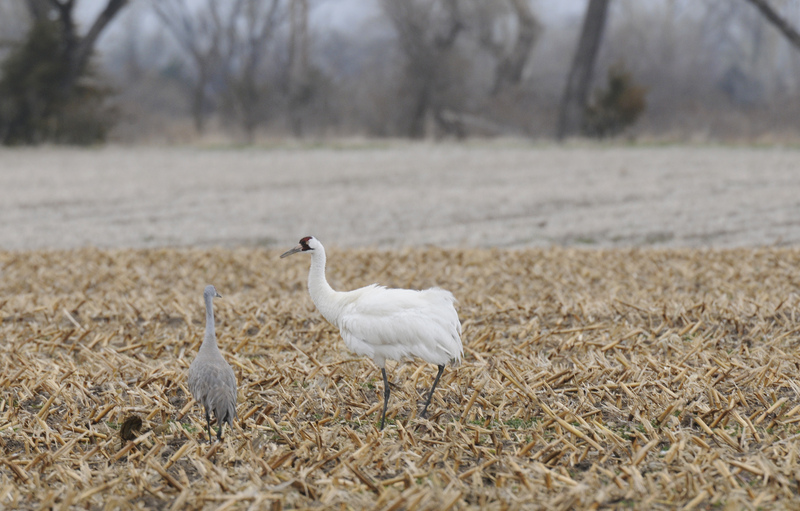 These transactions cannot reduce streamflow in the Platte River, which is important for ecosystem health and endangered birds like the whooping crane and least tern. 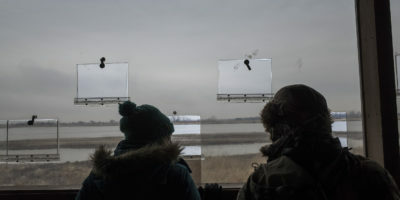 The exchange program may even help conservation interests. Jerry Kenny of the Platte River Recovery Implementation Program said his group plans to lease irrigation water rights and leave the water in the system to help those endangered species they’re working to protect. 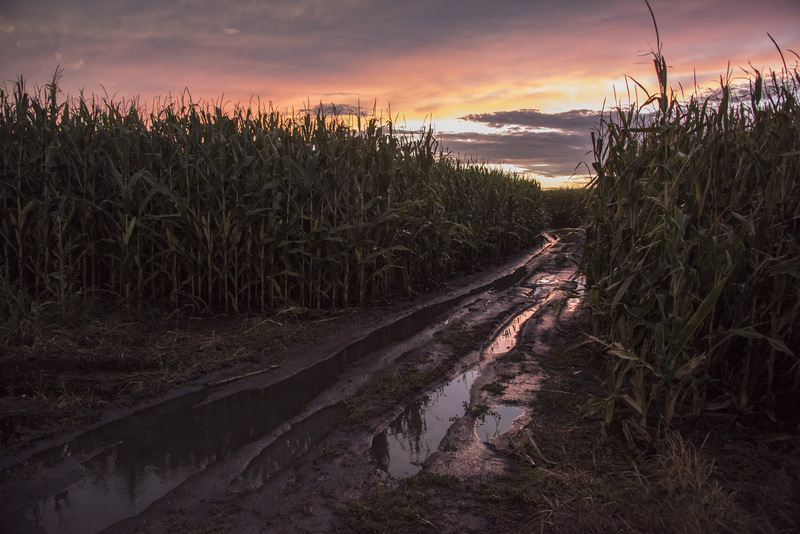 The program could also help farmers like Andrew Woitaszewski, who relies mostly on groundwater irrigation to grow corn and soybeans in Hall and Howard counties. He plans to participate in the groundwater exchange program as a buyer. “This will give me a chance to put some irrigated water on some dry land property that previously hasn’t produced too well because it’s dry land. So this will give producers like me a real good chance to get a good crop,” said Woitaszewski. “Maybe some of them [older farmers] have some extra water that they’ve certified in the past and don’t necessarily want to sell that right, but would be willing to lease it out. 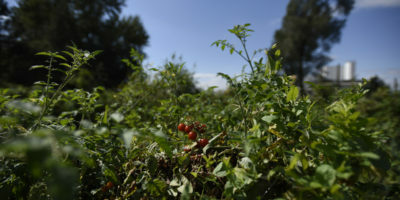 And for a younger guys like I, who couldn’t afford to purchase the high-quality farm ground, this will get us a good spot for him to create a little extra revenue to rent the acres out and for me to irrigate my crop,” Woitaszewski said. “It seems kind of a waste to me that we take some of the most productive land in the world out of production permanently, to assist stream flow, when possibly we could go through this leasing process,” Vogt said. Given that it’s the first water market of its kind in the state, the success of the program remains to be seen, said Vogt. “The nice thing about it is if we do this for one year or we do it for five years, and we decide it’s not having the effect we think or it’s having a negative effect on the river, all we have to do is quit doing it and everything goes back the way it is today,” Vogt said. The Nebraska Department of Natural Resources funded the creation of the groundwater exchange and says other NRDs around the state are interested to see how this pilot program goes. The groundwater exchange will let buyers and sellers trade water before the 2016 irrigation season. Correction: The original story omitted mention of a similar computer-driven water market operating in Twin Platte NRD. South Platte NRD also allows some temporary transfers of groundwater.